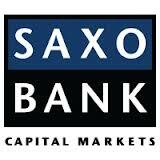 Versatile multi asset broker Saxo Bank, has announced the new launch of over-the-counter (OTC) options on its USDCNH platform, granting clients more exposure to Chinese Renminbi trading, according to a recent Saxo Bank company statement. The Danish broker is most well known for its extensive forex offering, having recently reported sagging volumes this past March. With fresh expansive measures already taking place in Abu Dhabi, the new Renminbi offering looks to capture a growing market. The announcement comes at an interesting time indeed, given the dual waning of both the onshore and offshore Renminbi (CNY and CNH respectively), along with an augmented trading band of the CNY to 2%. As such, the greater competitiveness fostered by the Renminbi has certainly allowed more latitude by forex traders looking to begin trading the bourgeoning currency.